This is where it all began! Time to play roulette, the traditional style with French Roulette. This gorgeously designed table game ensures that all the exciting elements of the roulette game is brought to your screens. As such, entertain yourself by giving a go to this fantastic variation of roulette by NetEnt. 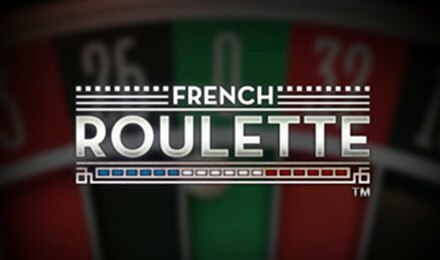 French Roulette might share the standard roulette rules and gameplay but the level of thrill to be encountered on the game is truly unique! Care to experience that? Play French Roulette! French Roulette is extremely easy to play. In fact, this variation of Roulette uses the traditional roulette rules. To begin, load the game on your mobile, tablet or desktop device. Once you are in, proceed by setting up the bets that you deem convenient. Clicking the play button will start the roulette game and the ball will be hurled in. The number pocket that houses the roulette ball at the end of the spin is declared the winner. Going for your lucky number? Amount of Paylines Selection: French Roulette is a table game. As such, there are no pay lines here to determine the wins. Coin Values: French Roulette offers you the option to choose the chips of your choice. Simply navigate through the given values and choose which ever you prefer. You are presented with a minimum of 0.10 up to a maximum of 1K. You are presented with Inside and Outside Bet Options on French Roulette. Enjoy setting out the bets’ of your choice by going for Inside Bets like Straight, Split, Three Line, Corner, Six Line and Column, Dozen, Red or Black, Even or Odd as Outside bets. French Roulette displays a screen at the top right side of the screen. These display the cold and hot numbers. Hot numbers are the numbers that have been the most common winners while cold are the least winning ones. Want to set bets on numbers that follow an order on the roulette wheel? Well, you can do so on the Racetrack Bet. In fact, you will simply need to click onto the Racetrack icon at the bottom left side of the screen. Clicked it? Enjoy! Did you set the stakes on your lucky numbers? Good luck, folks!